Billboard reports that Coldplay's previous two albums--Viva La Vida Or Death and All His Friends and X&Y--also debuted at No. 1, both selling more than 700,000 copies in their first weeks. 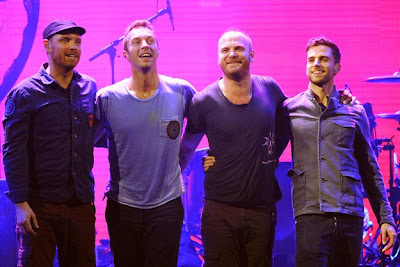 Mylo Xyloto's debut landed the third-largest sales week of the year, succeeding Lady Gaga's Born This Way (1.1 million) and Lil Wayne's Tha Carter IV (964,000). It has also landed the second-largest sales week by a rock artist, after U2's No Line On The Horizon debuted at No. 1 in March 2009.